A new architecture prize, the Ordos Prize, has just been announced - the first architecture prize to emerge from Asia, and Chinaâ€™s first international prize for architectural achievement. The prize is co-sponsored by the City of Ordos in Inner Mongolia, hence the title, and the Jiang Yuan Cultural & Creativity Development Co. The prize is intended to honor a young, emerging architect displaying “intellectual rigor and formal brilliance”. 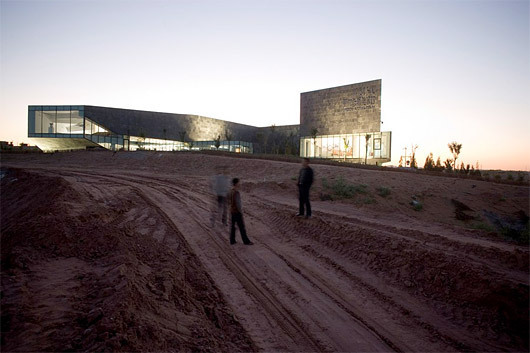 ORDOS, Inner Mongolia, China â€“ May 27, 2009 â€“ A new international architecture prize from China, the first ever from Asia, was announced today to honor a young architect at a pivotal point in his or her career. The Ordos Prize is being co-sponsored by the City of Ordos, a new city in the Inner Mongolian region of China, and by the Jiang Yuan Cultural & Creativity Development Co., Ltd which was founded by Cai Jiang, a local entrepreneur who made his fortune in coal, natural gas and agriculture and is now an architectural patron. It is not only the first international architectural prize from Asia but it is Chinaâ€™s first international prize for any achievement. 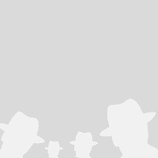 It has attracted a number of the worldâ€™s leading architects to serve as nominators and jury members. â€œUnlike other major prizes that recognize an architect for a significant project or body of work, The Ordos Prize is the first to honor emerging young talent,â€ says Rem Koolhaas, who heads The Ordos Prize Jury. One of the worldâ€™s most acclaimed architects, Mr. Koolhaas, principal of Office of Metropolitan Architecture based in Rotterdam, may be best known for the innovative design of the CCTV headquarters in Beijing that became a familiar icon to a worldwide audience during the Beijing Olympic Games. â€œThe Ordos Prize winners will be our next generation of great architects,â€ Mr. Koolhaas states. The Ordos Prize is the first architecture prize to award a commission to design a building. The winnerâ€™s building will be constructed in the Jiang Yuan Cultural & Creativity Industry Zone being developed by the Jiang Yuan Cultural & Creativity Development Co. in Ordos to showcase the arts and artisans of Mongolia. The winner also will receive a $20,000 monetary award and his/her work will be exhibited at venues in the U.S. and Asia. Further, the winner will be given lecture dates at two architecture departments â€“ one at a Chinese university and one at an American or European university. Yun Feng, vice president of the Political Consultative Conference of Inner Mongolia Autonomous Region, a member of the Secretary Municipal Committee of the CPC and Director of the Municipal Peopleâ€™s Congress of Ordos, is the Honorary Chairman of The Ordos Prize Jury. 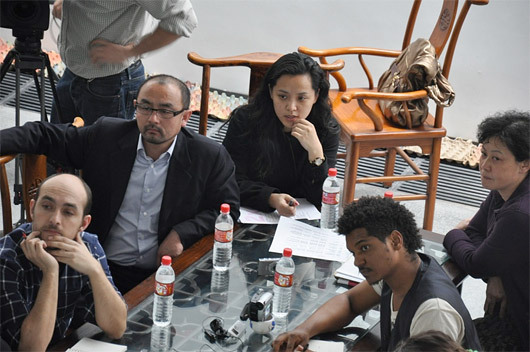 Joining Mr. Koolhaas on the jury are Lauren Bon, an artist from Los Angeles who intersects art with public space and urban ecology; Zhiyuan Cui, a philosopher, author and professor at Tsinghua University in Beijing; Robbie Finkel, a musician and composer from Montreal, perhaps best known for Cirque du Soleil scores; and Qingyun Ma, dean of the University of Southern California School of Architecture, founder/principal of MADA s.p.a.m., a fast-rising architecture firm in Shanghai, and founding director of The Ordos Prize. Candidates for the prize are being nominated by a panel of preeminent global architects: Ben van Berkel, Stefano Boeri, Liz Diller, Jacques Herzog, Thom Mayne, Pierre de Meuron, Enrique Norten, Kazuyo Sejima, Wang Shu and Robert A. M. Stern. The Ordos Prize grows out of a commitment to experimentation in architecture by the Jiang Yuan Cultural & Creativity Development Co. The company first drew the eyes of the world to Ordos by teaming with Jacques Herzog and Pierre de Meuron, architects of the Birdâ€™s Nest Olympic Stadium, to select 100 young firms from 27 countries to design 100 villas in the residential district of this creative industry park. 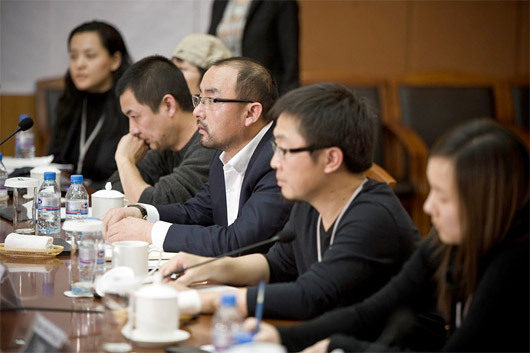 The Ordos 100 project gave birth to the idea for the Ordos Prize. A territory once home to nomads and yurts, Ordos is an â€œovernightâ€ city in Inner Mongolia rising out of the Ordos plains and surrounded by unique grasslands and deserts. Founded only seven years ago, the city now has a population of 1.36 million with one of the fastest growing economies in all of China due to the visionary efforts of Yun Feng who was instrumental in driving the cityâ€™s growth through the sustainable development of its natural resources. In the 13th century, Yuan dynasty emperor Genghis Khan fell in love with the beauty of the area and decided to build his mausoleum there. Khan Square, a large landscaped plaza with massive bronze sculptures of Genghis Khan, is the centerpiece of the new city whose boulevards radiate out from its boundaries. Ordos is often called Chinaâ€™s â€œenergy bankâ€ and the cityâ€™s rapid growth has been triggered by development of its rich coal, natural gas and mineral resources. The cityâ€™s per capita GDP is now at $10,000, topping even Beijingâ€™s $7,200, and city government has set a goal of $25,000 per capita GDP by 2012. In the Mongolian language, Ordos means â€œmany palacesâ€ and the city is building many cultural palaces including a Mongolian Theatre and Music Hall. Opposite these is a library designed as three towering books to reflect three famous books of Ordos. The Ordos Museum by Beijing-based MAD, now under construction, will house the art and cultural artifacts of Mongolia. The Ordos Prize will be awarded on August 20, 2009, at a unique Mongolian-style ceremony in Ordos. It will be a signature event of the 11th Asia Art Festival that will bring cultural and arts leaders from more than a dozen Asian countries to Ordos.